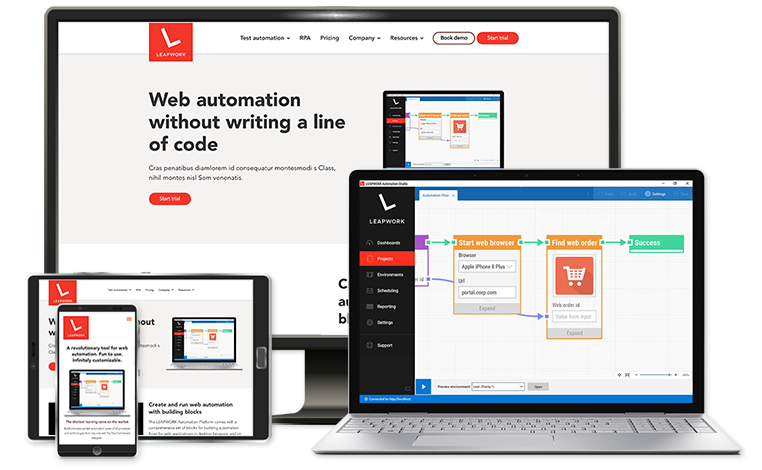 Automated testing of any website and web application by building visual flows powered by the world-leading browser automation framework, Selenium. Design your flows with LEAPWORK's Selenium-powered building blocks which include all the logic and details needed for rock solid automated web testing. A revolutionary tool for automated web testing. Fun to use. Infinitely customizable. 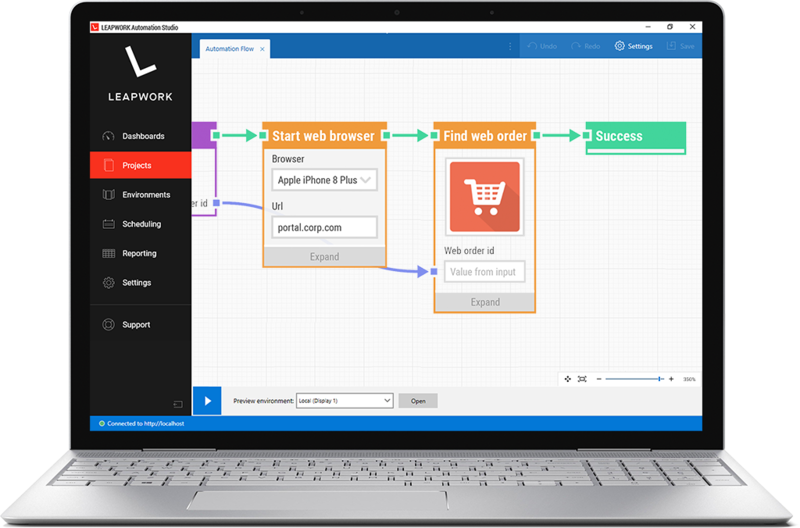 Build and execute automated web tests of all processes and technologies from day one with the flowchart-based designer. Testers and specialists can rid their work of tedious tasks and collaborate on automated web tests regardless of the technologies in use. Users at all business levels can design automated web tests without ever typing or reading a single line of code – and then execute cases with the click of a button. Design, execute, schedule, and monitor automated web tests in one place. Work on test cases in teams, share project assets, and set up feedback loops across departments. The LEAPWORK Automation Platform is a tool for specialists, generalists, and management alike.